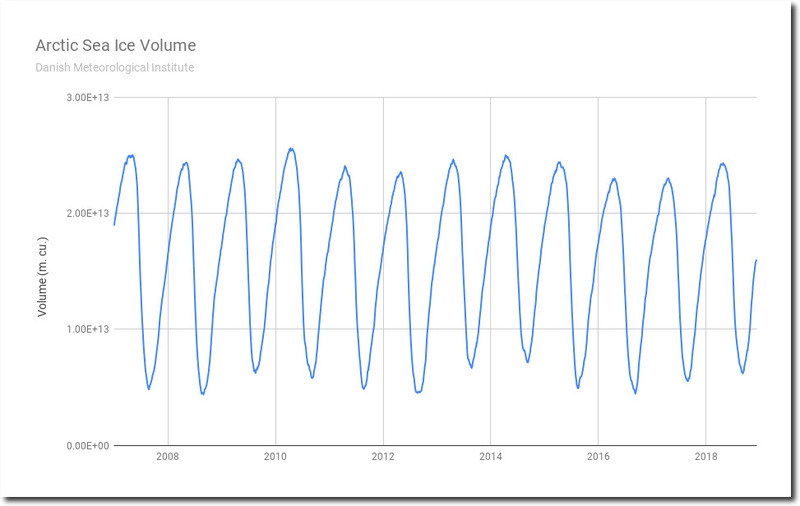 There is no trend in Arctic sea ice volume over the past eleven years. The animation below shows daily sea ice volume since 2007, animated by month. The trend in January, June, July, August, September, October, November and December sea ice volume is up. Almost all melting occurs in June and July. Summer is too short to melt all the ice, particularly since summer temperatures near the North Pole have been running below normal for the past eighteen years. By early August, the sun is too low in the sky to melt much ice near the pole. 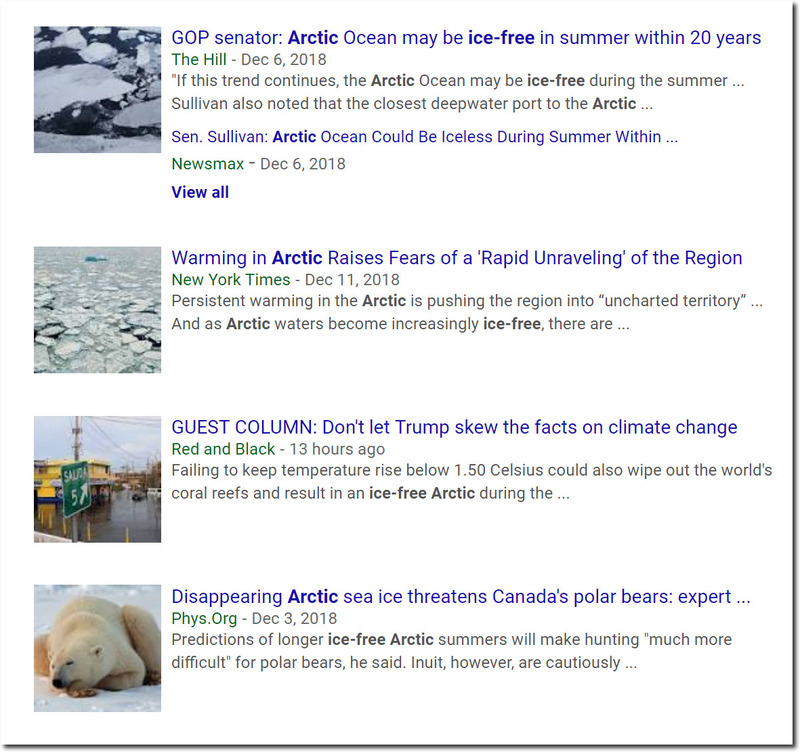 The world’s leading climate experts keep predicting an ice-free Arctic. They have absolutely no clue what they are talking about. They never learn from their mistakes, and they never stop with their science-free speculation.